Check out Tobi's Kim Stripe Tie Waist Pants Stay cool in culottes. 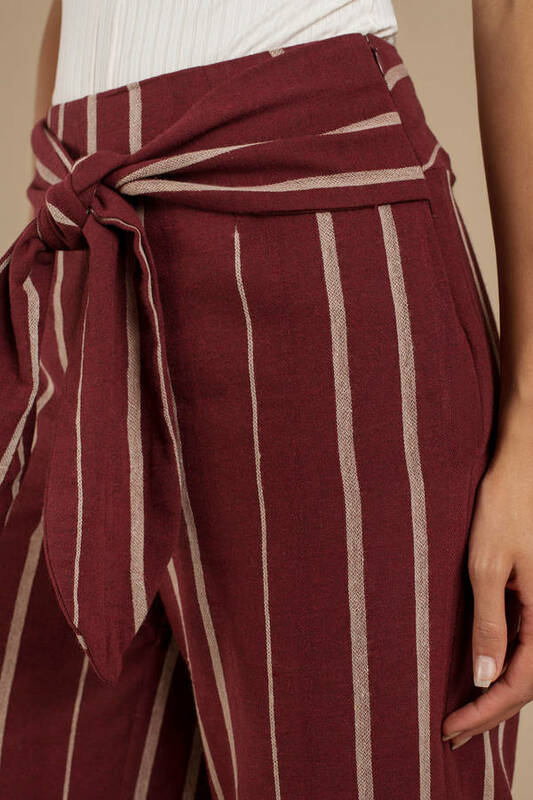 Moon River's Kim Red Multi Stripe Tie Waist Pants feature stunning stripe print, high waisted construction, waist tie, pockets, and wide legs for a gorgeous silhouette. These high waisted paints will look extra fab with a plunging bodysuit. Stay cool in culottes. 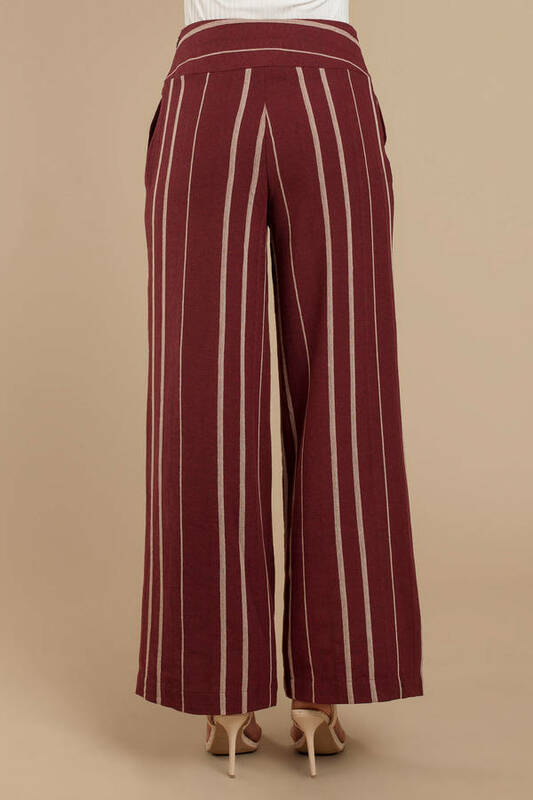 Moon River's Kim Red Multi Stripe Tie Waist Pants feature stunning stripe print, high waisted construction, waist tie, pockets, and wide legs for a gorgeous silhouette. These high waisted paints will look extra fab with a plunging bodysuit.